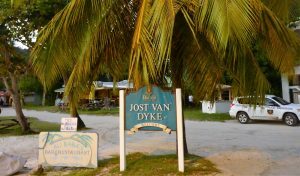 Jost Van Dyke’s main street is located on Great Harbour, and is about 1/4 mile long. It’s a one-lane white sandy road that runs along the water, with shops all along the way. 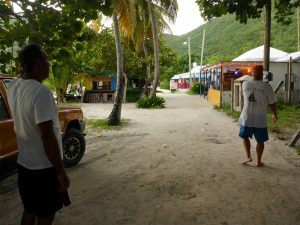 You will find the police station, some grocery stores, several restaurants and bars, and even the Jost Van Dyke Methodist Church. At the west end, you will find Rudy’s Marketplace, and on the other end, you will see the world famous Foxy’s.